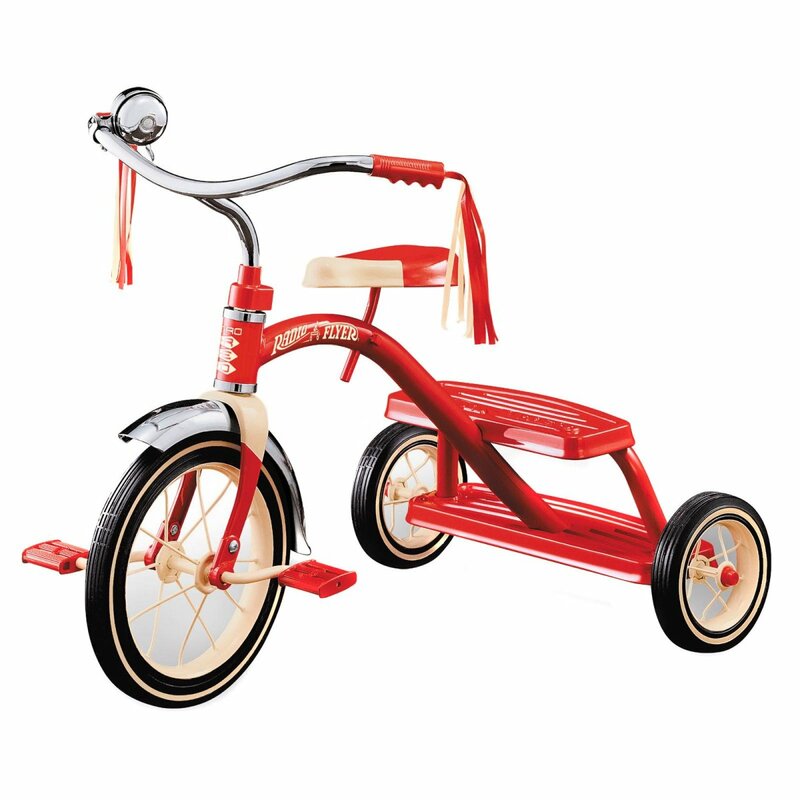 The summer noontime sun pounded down on my dad, as he wiggled the new streamer handles onto my shiny red tricycle. I was overjoyed with how my trike looked, as the colorful streamers fluttered in the breeze. I couldn’t wait to get peddling down the sidewalk. Awe struck my face, wondering if my tricycle might be as fast as my dad’s three-wheeler police motorcycle. I watched him put on his helmet, mount his three-wheeler, and rev the engine. He headed down the street and around the corner – Probably speeding to someone’s safety. It was time for me to conduct a speed test with my super fast streamers. I started easy, peddling slow to gradually get accustomed to the new speeds. I hadn’t realized the wind had picked up and was at my back, but I did notice that my tricycle was getting faster, just like my dad said. Thunder rumbled in the distance and I looked up at the dark sky. A storm was approaching and fear pelted my insides. I suddenly realized that I was getting too far from home and my streamers were now whipping in the breeze. The sidewalk underneath my trike raced by. My nerves got the best of me. I took my feet off the peddles in hopes that my trike would slow down, but my fast streamers pushed me forward at a greater speed, as if I was being pushed by a strong gust of wind. Not being able to slow down, I turned my handlebars to circle around, but the speed was so great my trike flipped and tossed me onto the concrete. My legs and arms were scraped raw in the fall. I quickly mounted my tricycle and started peddling. I knew the fast streamers would get me back quickly. I peddled as fast as I could, but suddenly felt a blast of wind from my back propelling me even faster. My feet slipped off the pedals and I lost control of the trike. Fear flooded my heart as my mom struggled to keep the screen door open. I ran toward the porch, but my shoe clipped the sidewalk and I crashed into the steps. I was pulled up into the porch by the collar of my shirt. Mom raced me down into the basement and slammed the door, but I could hardly hear it close over the din of what sounded like a rushing train over our house. A couple hours later, I stood in the driveway looking at my trike. It was trapped under a large fallen branch. One of the fast streamers was torn from the handle and mangled in another branch several feet away. The other one was still attached, but crushed. My mom tried to comfort me with the suggestion of shopping for new streamers, but I didn’t want anything to do with it. I was no longer interested in a fast trike. I was determined to wait until I was much older before trying fast streamers again. My mom didn’t understand my response about speed, but she thought a piece of watermelon might help take the edge off of our storm experience. I happily headed inside.